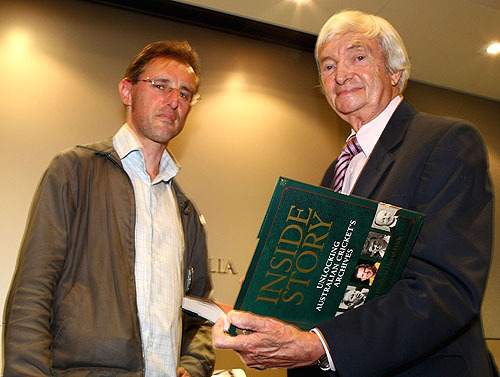 Gideon Haigh, in the Weekend Australian, 29-30 October 2011 with different title… Gideon Haigh is one of Australia’s best sports writers and has expertise in financial analysis as well. He has now joined the Weekend Australian’s columns and must be listened to avidly. Web Editor. HYPOCRISY, the saying goes, is the homage that vice pays to virtue. In cricket, it is the homage administrators pay to Test matches. Time and again, administrators assure us of their continued regard for Test cricket as the game’s ultimate form. Then they pull sneaky little manoeuvres like winnowing Australia’s planned three-Test series against South Africa away to two, and England’s promised five-Test series against South Africa next year to three. Their recent decision to welch on playoffs for the World Test Championship is perhaps their most destructive move yet. Destructive and also instructive: because it demonstrates how far the game’s welfare now falls behind self-interest and short-term financial expediency as a governance priority. At their July annual meeting inHong Kong, the executive board of the International Cricket Council, on which Cricket Australia’s representative was its chairman Jack Clarke, agreed to advance plans for playoffs to the World Test Championship: semi-finals and a final among the top four ranked countries. It was welcomed as a much-needed innovation: a chance to contextualise the game’s most skilful and historic format, and enrich it with a finale worth the name. Read the rest of this entry ? SIMON Katich has hit out at Michael Clarke, claiming the Australia captain was responsible for him losing his contract, and said he believed he would never play for Australia while the new skipper was a selector. The prolific opener traced his downfall to a dressing room clash with his teammate in 2009. Katich, axed from the national team in June despite being one of its best performed batsman, also slammed Cricket Australia. 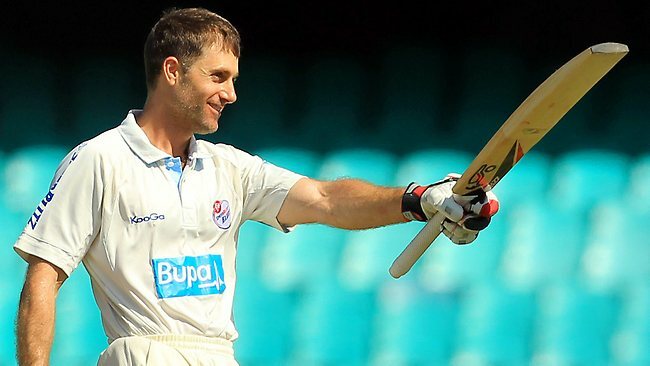 Katich scored 110 for NSW at the SCG yesterday and returned to the dressing room to hear that the new chairman of selectors, John Inverarity, had said the door was not closed on his Test future. “It’s pleasing to hear, but you don’t have to be Einstein to figure out that it is not just the selectors that had a part in sending me on my way, so that is one of those things,” Katich said. Asked what he meant, he referred to an incident in the same dressing rooms after a Test against South Africa when he grabbed Clarke by the throat in a late-night incident. Read the rest of this entry ? 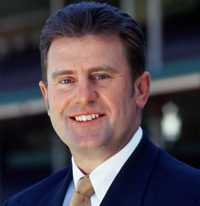 CRICKET Australia’s new general manager has hit the ground running and will begin interviews to find a new chairman of selectors this week. Pat Howard, a former rugby union high-performance manager, was appointed last Friday and is being guided by Mark Taylor in the search for somebody to take on the new job. 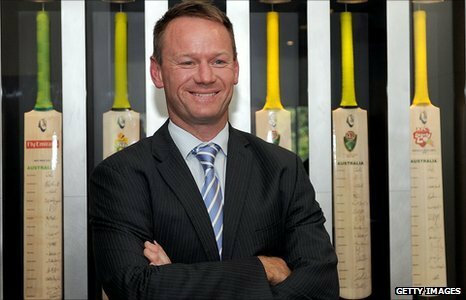 Howard’s hiring has allowed Cricket Australia to fast-track the recruitment of a new head coach and a new selection panel, including a full-time chairman, in line with changes recommended by the Argus review. The organisation announced yesterday it had appointed corporate headhunters to scour the world for potential candidates for the new role of head coach. Read the rest of this entry ? The Sri Lankan cricket team will be very disappointed that it lost the Test and the One Day International Series to Michael Clarke’s Australians. If one were to critically analyse it,Sri Lankawill also be disappointed that the batsmen did not have any solutions to the disciplined bowling attack of the Australians, especially the seamers. Special mention should be made of Ryan Harris and it was he who kept it very simple. He kept the deliveries outside the off stump, got the Sri Lankans to play those swung that away from both the right and left handers. The Galle wicket for the first Test was prepared to suit spinners. Australian skipper Michael Clarke, walked up to the media box and said that he wished he could bat on that track. What he said by innuendo was that the wicket was very dry and that the side that batted last was going to have a torrid time. In all due fairness to Clarke, it was a pitch that was difficult to bat on. That held true withAustralia, still one of the best batting line-ups, was against what was a very mediocre Sri Lankan bowling attack. But the rider is thatSri Lankadid not have Muttiah Muralitheran and Chaminda Vaas who have retired and Lasith Malinga, who does not want to play Test cricket. So,Sri Lankadid not have the depth in bowling and was struggling on a dry track. Read the rest of this entry ? THE man appointed to lead Australian cricket out of the ash-strewn wilderness has played 20 Tests, but they did not involve stumps, red balls or lunch breaks. Pat Howard, 37, a former rugby international, was yesterday appointed to the new position of Cricket Australia’s general manager team performance. He played 20 Tests for the Wallabies during the 1990s and was recently the high-performance manager for the Australian Rugby Union, but admits his cricket playing experience is rather limited. Read the rest of this entry ? NONE of the eight Big Bash League sides has attracted a major sponsor for the tournament, which kicks off in December, but one state has found a potential private investor and hopes to get board approval later this month. The teams are struggling to attract sponsorships and have found a lucrative part of the market has been cordoned off by a recent CricketAustraliadirective that betting agencies cannot be naming rights sponsors or appear on playing apparel. Casinos are, however, acceptable on the cricketers’ coloured clothing as long as they do not “promote gambling”. Read the rest of this entry ? When is an international not an international? This space offered the opinion last week that the one-day international in Dublin pushed the definition very close. With two players who had played for both teams, and one side putting out a second-string team, those who had been parted from their hard-earned well in advance of the selection of the England team were entitled to ask the question. It is one that may well crop up again at the fag end of the summer when a team going by the name of West Indies arrive here for two Twenty20 internationals. “Going by” is a suitable description in this instance, because they will be shorn of many of the names by which West Indies is associated in the minds of most cricket supporters. Seven leading players, all of whom would be guaranteed a place in normal circumstances, have been omitted because of their commitments to the Champions League that takes place in India concurrent with those Twenty20 matches. So there will be no Chris Gayle, Darren Bravo, Dwayne Bravo, Kieron Pollard, Lendl Simmons, Adrian Barath and Ravi Rampaul. Read the rest of this entry ? 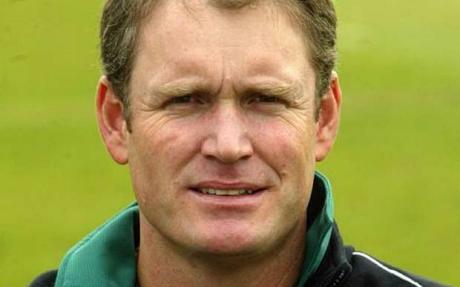 You are currently browsing the Critiquing Cricket blog archives for October, 2011.